One of the gifts that has emerged from the core of my efforts to initiate my action research project exploring the inquiry based classroom is the huge presence of “wonder.” Perhaps it has a lot to do with the age of my students, or it may just be this unique and wonderful group of students I have this year, but my emphasis on the question, rather than the answer, has led us to incredible discoveries. I launched my project with the reading of The Three Questions, by Jon J. Muth. This is an incredibly beautiful children’s story inspired by Leo Tolstoy’s short story by the same name that was published in 1903. We extended this by a discussion about how much we learn from our own questions. I had borrowed the How To Think Like Leonardo da Vinci suggestion to have a question box in my classroom with the labeling of “Great Minds Ask Great Questions.” The children are encouraged to write questions they have and want to explore further on an index card and deposit this in our “Great Minds” box. My introduction was delivered on a silver platter at recess with the discovery of a Hickory Horned Devil. We brought our new friend, who the children appropriately named Spiky, into our classroom and let the questions roll. 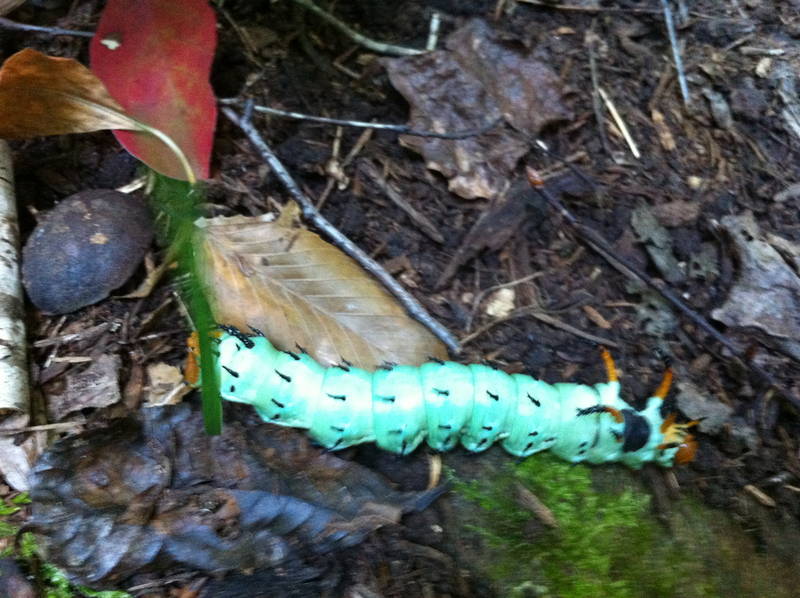 (I’m including photos for those of you who might not recognize the very harmless but unusual Hickory Horned Devil!) The excitement was palpable, and I really couldn’t have asked for a more perfect illustration of the power and value of questions. Some examples of our probing questions are: “Why are some of the spikes green and some orange?”; “How many legs does he have?”; “Is he poisonous?” “Does he bite?” “Can he jump out of the jar??? ?” After gathering the questions, we allowed the children to research and answer many of the questions from an on-line site we had previewed. 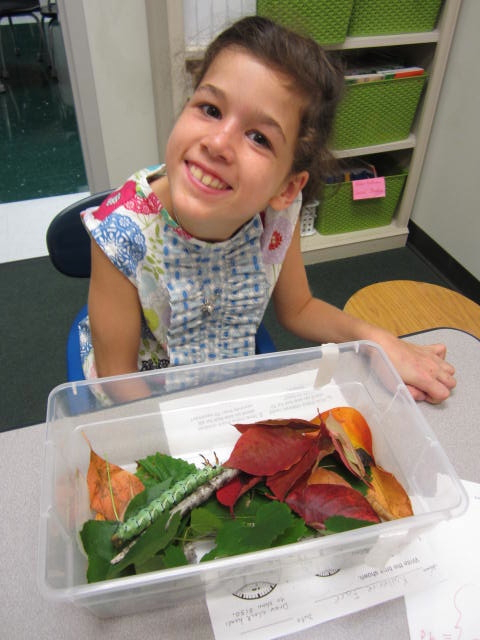 We have enjoyed additional opportunities to explore other wonders of nature including an American chestnut peeking through its spiny shell, a very unusual mushroom, and a striped rock. I’m hoping I’m on the right track for my action research project, but none the less, I’m really enjoying this path to discovery and learning! In high school English, we continue to encourage students to ask good questions, the right questions, to actively address the hard questions, rather than offhandedly dismissing them because you just won’t, or fear you can’t, do the work necessary to get somewhere. I love what you’re doing, and hope we effectively reinforce your great efforts all the way to graduation and beyond. Thanks for sharing your thoughts Lasley. I do think you are right about our need to invest in helping students ask good questions throughout their career. The skill of asking a good question isn’t necessarily second nature. As teachers, we need to create an environment and lesson, as Ann illustrates in her post, that facilitates this happening. Sounds like it is something the English Department intentionally promotes. Thank you!